Neil Young was born in Toronto, Ontario, Canada on November 12, 1945 and, as a young boy, moved to Winnipeg, Manitoba, which is where his musical career began. He has had a long and extensive musical career, becoming one of the most respected and influential musicians of his generation. Neil started his professional music career in the mid-1960s with a number of bands in Canada, notably the Mynah Birds, which also included fellow future Buffalo Springfield bassist Bruce Palmer and future funk star Rick James. When the Mynah Birds broke up, Young and Palmer headed to California to meet Stephen Stills, whom he had met in Thunder Bay, and the result was Buffalo Springfield. That band split up after three albums, and Neil soon started his solo career with the release of Neil Young November 12, 1968. The album did not do very well commercially, but included several strong tracks, including "The Loner", said to be a portrait of Stephen Stills. On May 14, 1969 he recruited Crazy Horse and made the critically acclaimed Everybody Knows This Is Nowhere. This was a much more consistent album, the first to introduce longstanding collaborators Crazy Horse, and built around the balanced interplay between the guitars of Young, and the talented Danny Whitten. The album also featured two lengthy classics, "Down by the River" and "Cowgirl in the Sand". The critically acclaimed solo album "After the Gold Rush" came out in 1971, featuring such classic songs as "Southern Man'", "Only Love Can Break Your Heart" and "Don't Let it Bring You Down". Harvest followed in 1972 with the hit"Heart Of Gold". During this time he also enjoyed considerable success as a quarter of Crosby, Stills, Nash & Young. 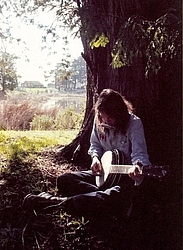 Neil's subsequent work has zig-zagged across genres - dabbling in country rock on "Old Ways"; electronics on "Trans"; hooking up with the Shocking Pinks in a homage to old-time Rock 'n' Roll on "Everybody's Rockin'"; creating a wall of feedback on the live Arc-Weld; and cementing his status as Godfather of grunge when collaborating with Pearl Jam on Mirrorball. His idiosyncratic approach to genre even led to him being sued by his record company (Geffen) in the 80s for making "uncharacteristic" music. Young has also dabbled in film, most recently on the album/concert series/dvd Greendale. 60 years and still going strong the very special and often strange Neil Young keeps on making music. His latest release are Chrome Dreams II. and "Fork in the road". The film Canadian Bacon includes the line "Canadians are always trying to figure out a lot of ways to ruin our lives. The metric system, for the love of God! Celsius! Neil Young!" Subscribe to Neil Young RSS Feed to get latest lyrics and news updates. What do you think about Neil Young? Let us know in the comments below!